This is a comprehensive step by step 3 hour online course as to how to become an online English tutor. The course is aimed at qualified English Teachers and those in the process of qualifying who would like not only to teach English as a Foreign Language online but also to make money. Learn how to become an English online tutor and earn at least $3,000 per month. You will learn how to become an online ESL teacher and how to start an online English tutoring business. 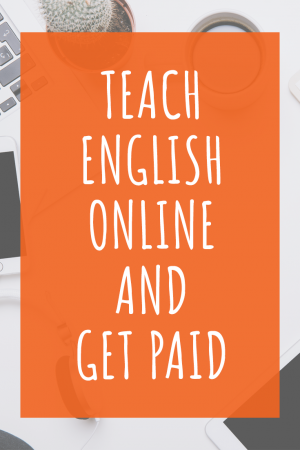 You will learn not only learn how to teach English online and get paid but also how to be a good online English teacher. You will learn how to maximise the use of modern technology and engage ESL students in learning English online using Skype™. Following over 30 years working in business I changed my career path and reinvented myself as a Teacher, teaching English as a Foreign Language. I obtained my TEFL qualifications and have now been teaching for over 8 years both online using Skype™ and in face-to-face lessons. I am successfully teaching to a very wide range of students across several continents. I specialise in Business English but happily teach people with any English learning needs. I have assisted many students to successfully pass a variety of English proficiency exams to gain employment with European or American organisations where English was the language of choice. The response to my teaching style is very positive and results in regular referrals of new students. I have also built up a small network of suitably qualified teachers to work with me as my business continues to grow. My approach and style can be adapted to suit ESL students young or old from any country or nationality. 02. What do I Need to Start Teaching English Online? 05. How Do I Avoid Possible Pitfalls? 06. Is There Anything Else I Need to Know? Learn how to become an online ESL teacher, make money teaching English online and be your own boss! Can i pay for the course in a different currency? Absolutely! The payments are processed through secure gateway Stripe using secure authentication technology. Stripe supports processing payments in 135+ currencies. When will I get access to the course? Ideally working towards CELTA/TEFL degree. Basic knowledge of Skype™ software. Desire to be your own boss. What will I be able to do after taking this course? Understand what is needed to turn teaching skills into a business. Be able to plan online lessons and get organised. Be able to commence online English lessons on completion. Know the basics of administration for a self-employed English teacher.